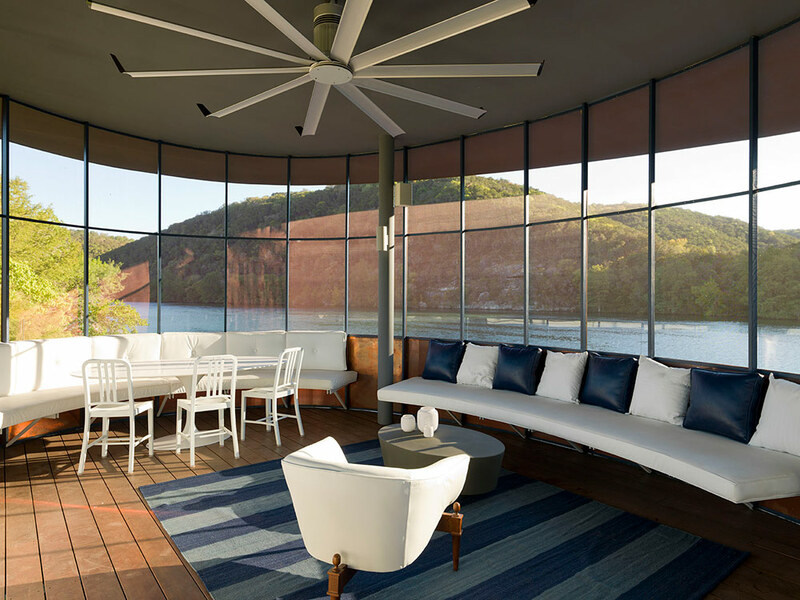 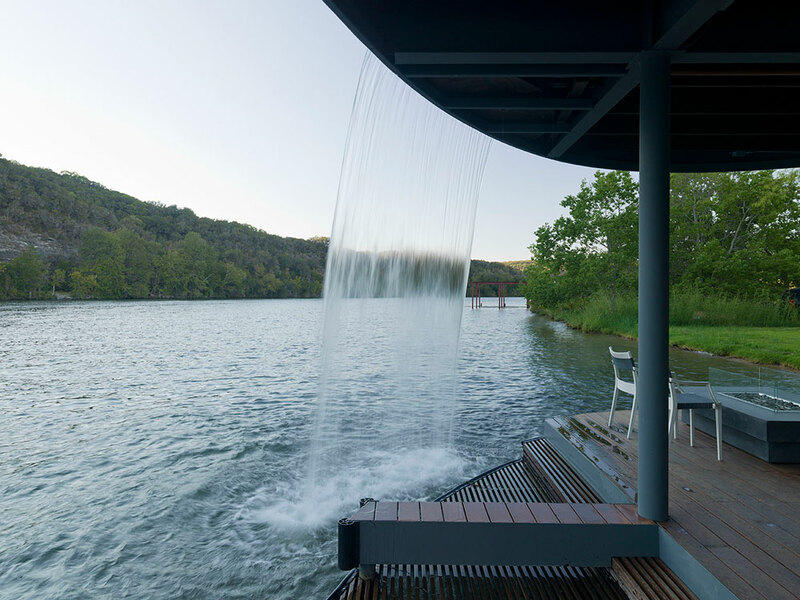 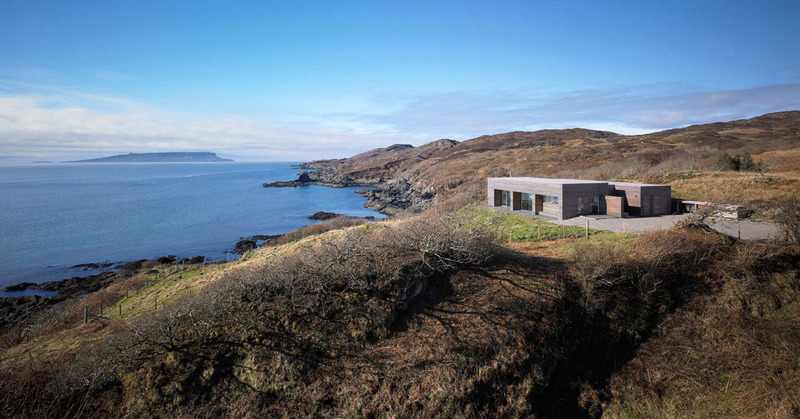 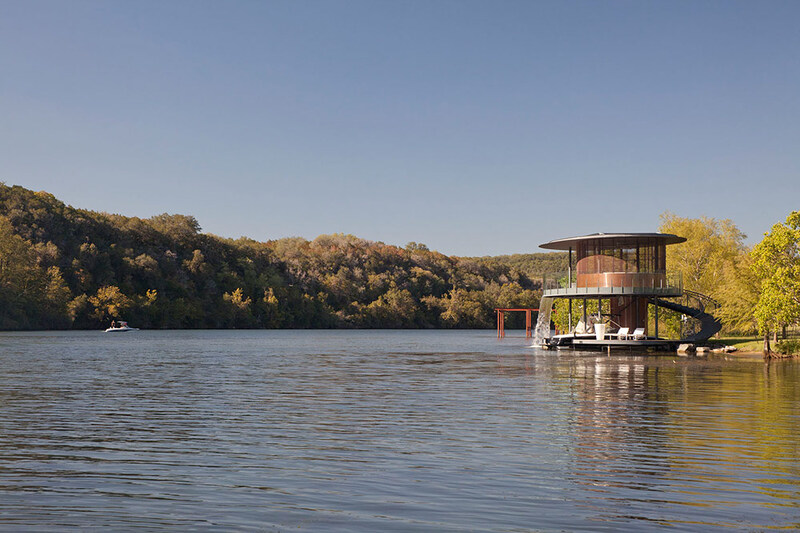 The Shore Vista Boat Dock was completed by the Austin based design and construction firm Bercy Chen Studio. 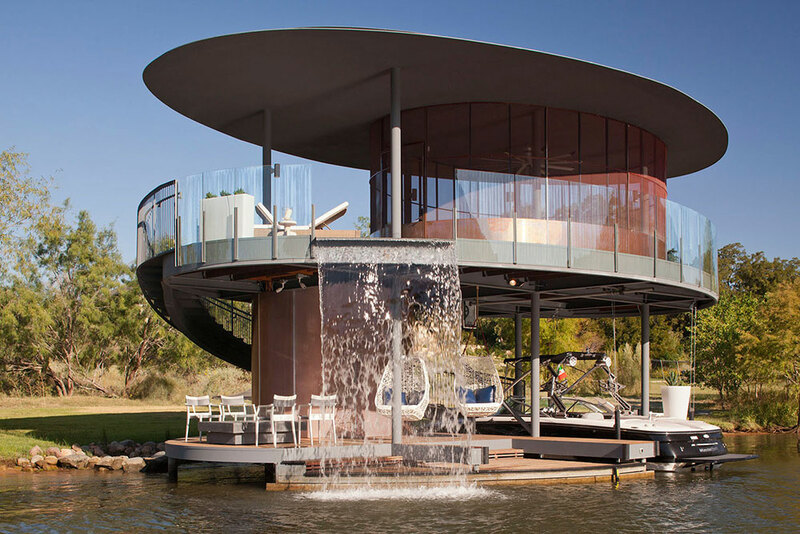 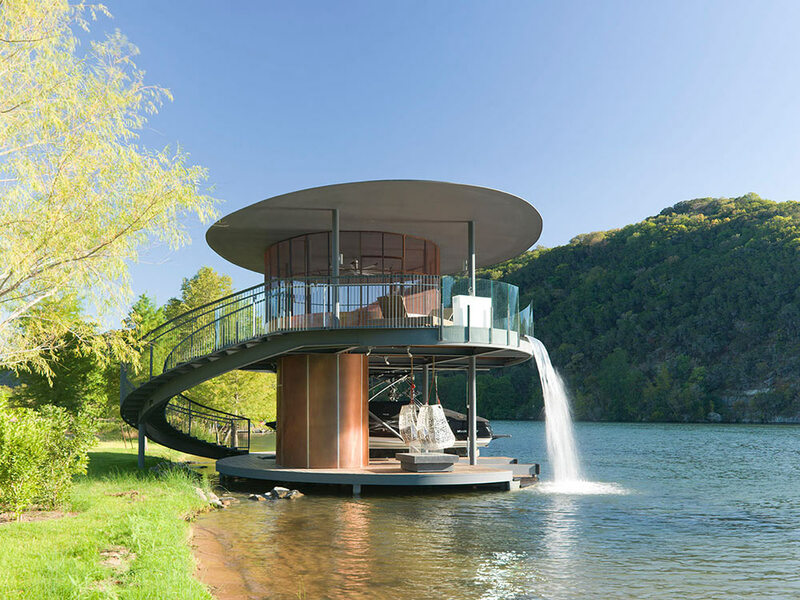 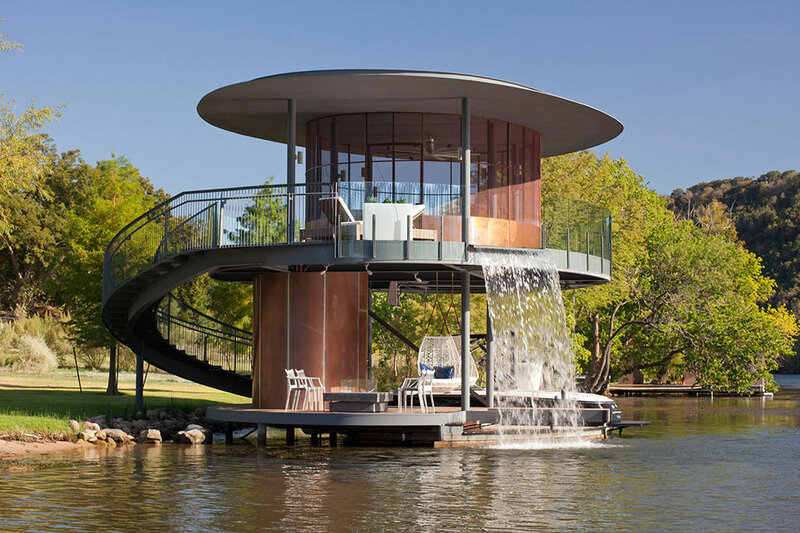 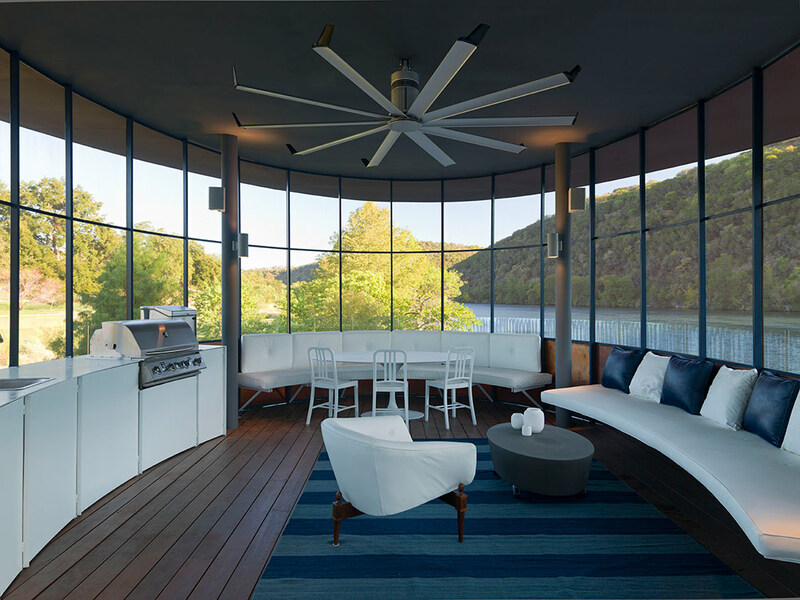 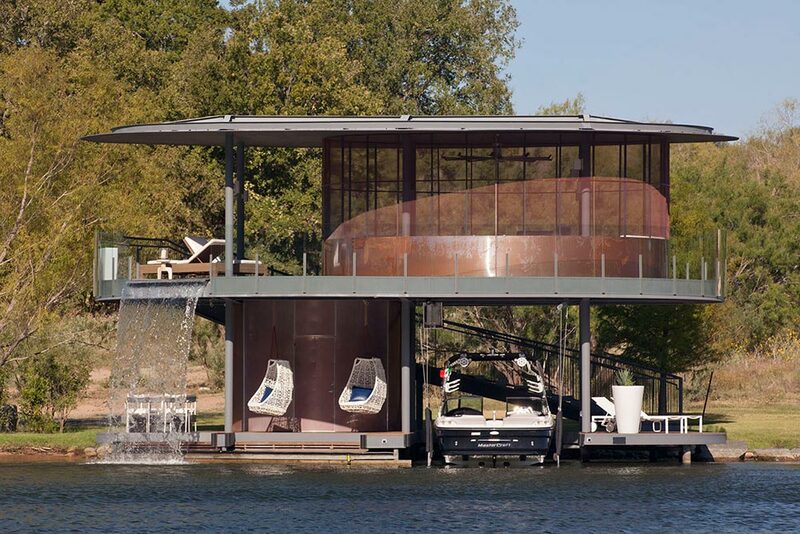 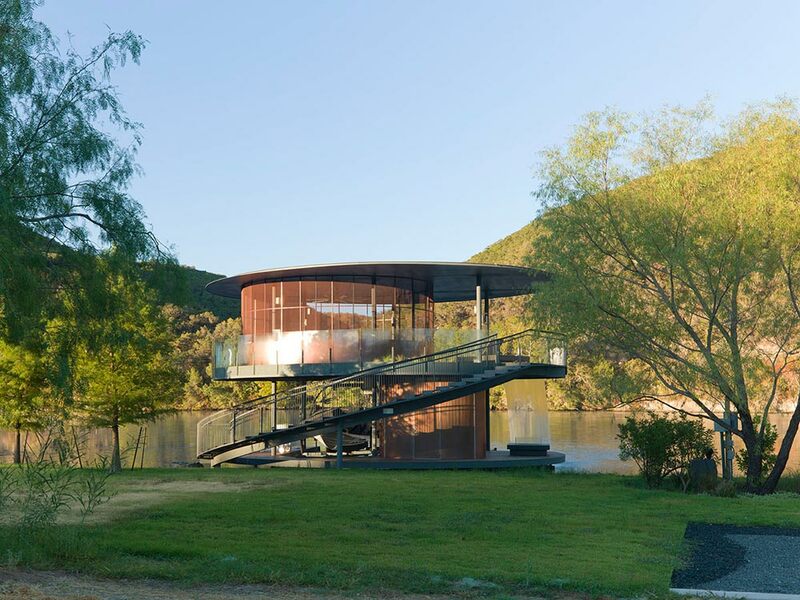 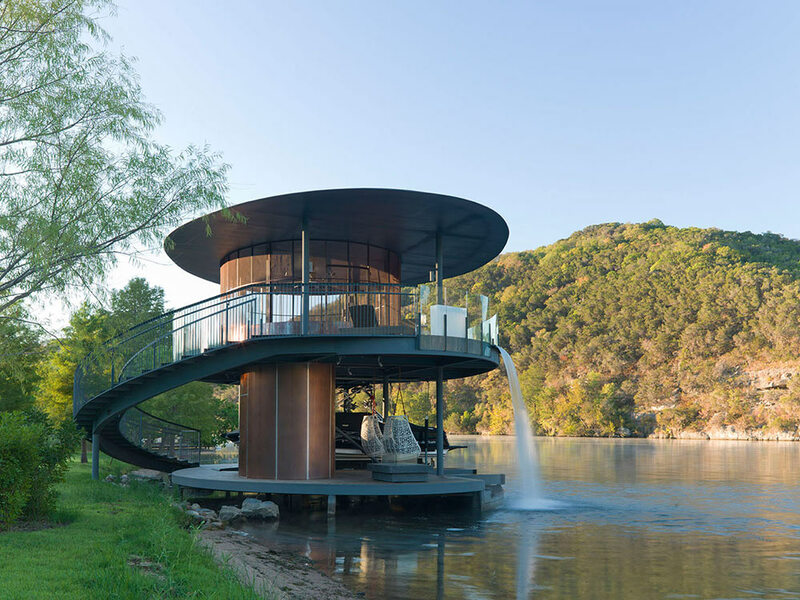 This two story elliptical boat dock is located on a bend in Lake Austin, Texas, USA, opposite to the Canyonland Nature Preserve. 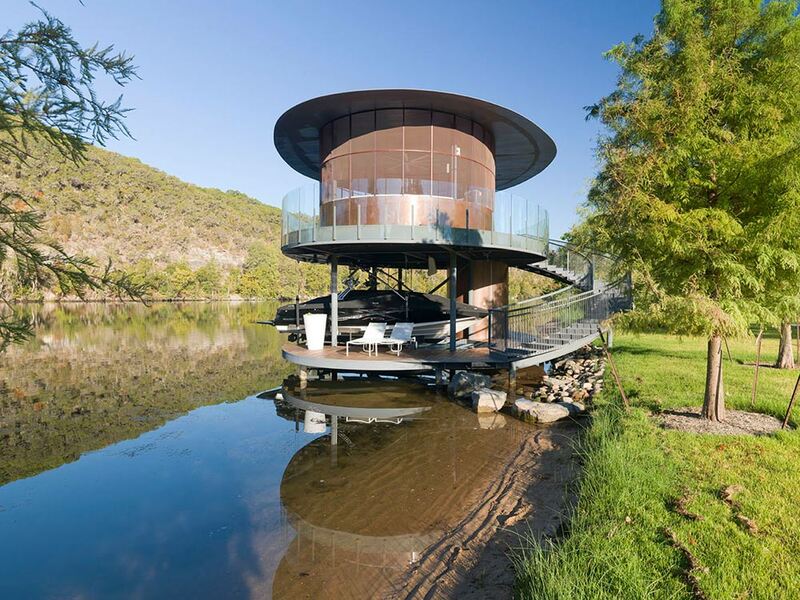 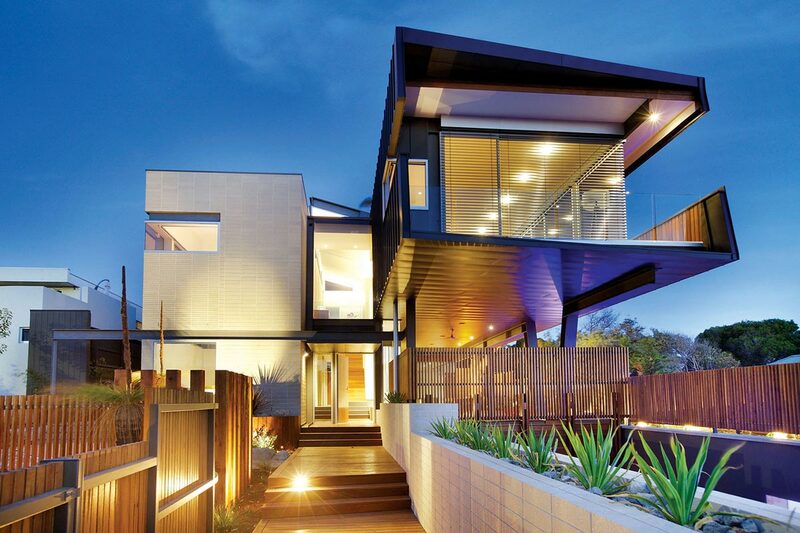 A wrap-around staircase connects the two floors. 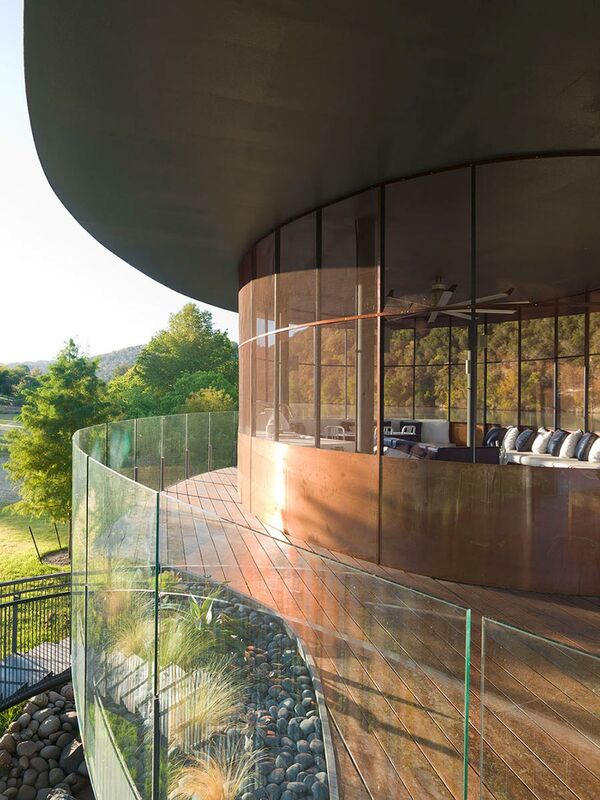 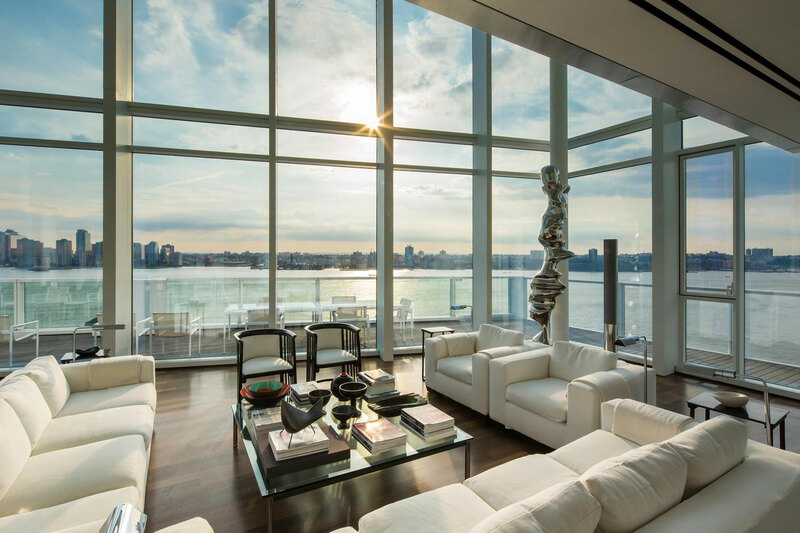 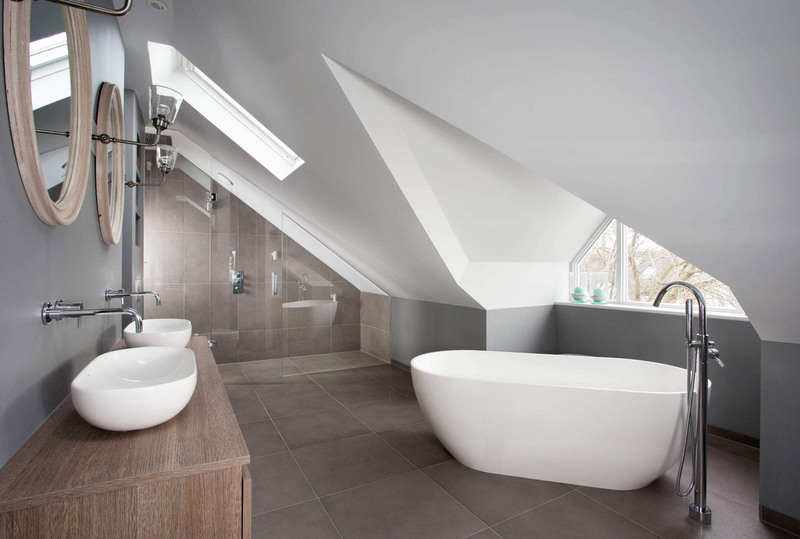 The second floor features a kitchen and dining area.